Hotel Bella Isla Resort is a a family friendly 4 star hotel situated in the southern part of Cuba, on Cayo Largo del Sur Island, 10 minutes from Vilo Acuna International Airport and offers its guests a wide range of all-inclusive services. Bella Isla Resort stands at the front line of the beach, surrounded by lushly beautiful palms and just a few meters away from fascinating coral reefs. The hotel is decorated with numerous paintings and samples of craftsmanship created by well-known local artists. It is also close to Playa Paraíso and Playa Sirena, some of the most idyllic beaches in Cuba. 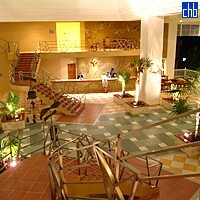 The soaring lobby at Bella Isla Hotel is open to the elements to front and rear, creating a throughway for breezes. 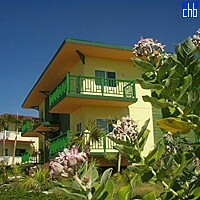 The large swimming pool and spacious sundeck is inviting; and a second pool captures the overflow. There are four main restaurants, plus three bars. 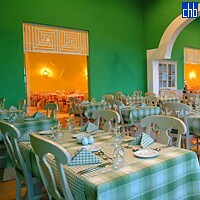 Food is another plus here and earns high marks from guests, as does the varied nightly entertainment. Bella Isla Resort's amenities include 2 adult swimming pools, Jacuzzi, tennis courts, an archery range, beauty salon, gym, sauna, day and night entertainment programs. This hotel has fewer watersports than the Sol hotels on Cayo Largo, provides a large beach areas for nudists (apparently). The 306 spacious guest rooms are divided between the 110 standard rooms in the main hotel and 184 "bungalows", 12 suites and 3 rooms adapted for the disabled. 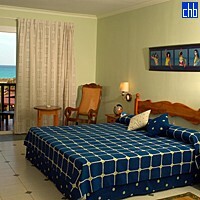 Furnishings comprise simple hardwood pieces in traditional Cuban style, and bathrooms feature travertine countertops. All have sliding glass doors onto balconies. 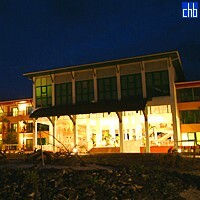 Hotel Bella Isla Resort was previously managed by Iberostar and known as Olè Playa Blanca, before that it was also called Hotel Barcelo Cayo Largo. Hotel Bella Isla is a dream spot you’ll never want to leave.